Your Puberty Blues that is. The 1981 film that centered around teenage angst on Sydney's Southern beaches has had a new lease of life with the success of the Network Ten TV series of the same name. Beyond Puberty Blues will be held this Saturday evening at the Bondi Pavilion from 6pm with a special screening of the movie and some of the stars in attendance including Nell Schofield. The night will be a tribute to a co-star Jad Capelja to aid Beyond Blue, the very worthy organisation that provides aid and help to depression sufferers. Tickets are only $28 for what promises to be a great night. But hurry, tickets are going fast. October 13th 2012. The Bondi Pavilion Theatre, 6pm – 11pm Click HERE to buy tickets. 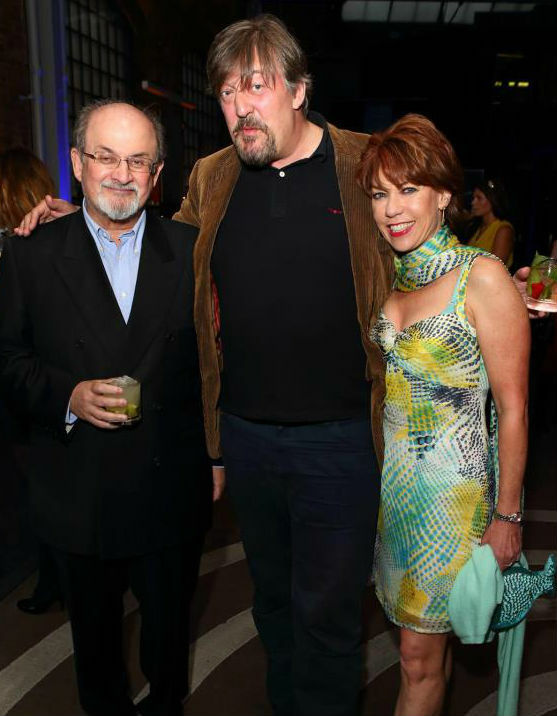 Meanwhile one of the writers of Puberty Blues Kathy Lette has been out and about in London and attended the launch of Salman Rushdie's new book Joseph Anton which recounts the years he spent under the threat of death. Rushdie who lived for ten years in a series of 'safe houses' spent time living in the attic of Kathy and her husband barrister Geoffrey Robertson's North London home.